What's new in The Underground? I officially attended my very first baby shower! This may not be exciting news for many or an event you'd find on my bucket list (if I had one), however, I never knew people held co-ed baby showers. That is, until my girlfriend just recently co-hosted one for a friend. I was privy to the inner workings of the prep involved, including sending out invites, food planning, and creating games for everyone to play. 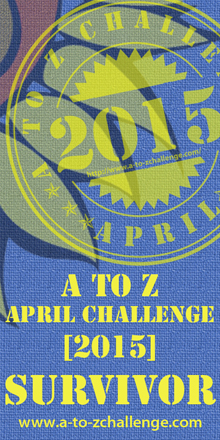 Some of it seemed stressful, but mostly it was fun and rewarding. One of my favorite parts, one which I was able to help participate in, was coming up with the games for people to play! For the party, three games were planned: The Price is Right, Jeopardy, and Tinkle in the Pot (a rely race involving holding a quarter between your legs). My girlfriend was in charge of Jeopardy and came up with some great categories! I was able to help with questions (or answers?) and designing the game board, which was essentially made out of foam board, multicolored index cards, and Velcro strips. It was a lot of fun and at the baby shower most people seemed to really enjoy playing it (along with the other games — though I loathed the Tinkle in the Pot game because I couldn't carry the damn quarter between my knees to the bucket). I just wanted to shared this small labor of love that we figure we can repurpose for game nights or future baby showers! Have you attended a baby shower before? How about a co-ed baby shower? What kind of food was served? What were some of the games played? 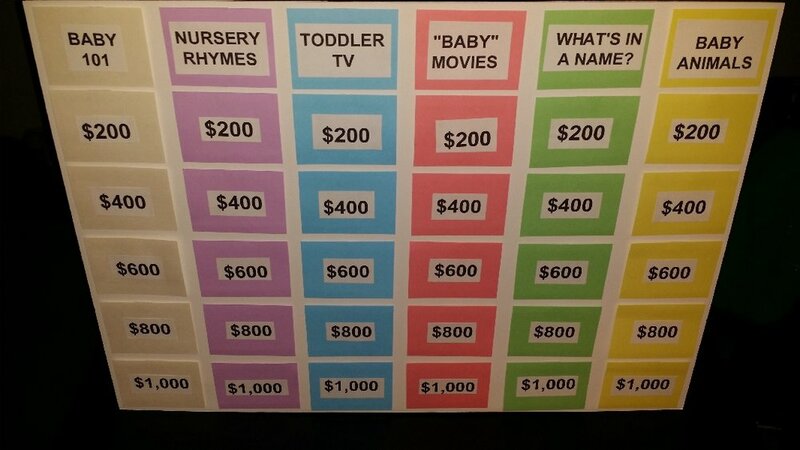 Have you ever played a similar type of Jeopardy game at a baby shower? If not, would it be one you think you'd enjoy?